How To Find Keywords For A Website! What Is Jaaxy Keyword Tool? On of my favorite sayings is (quickly becoming) ‘just plug it into Jaaxy!’ My students ask me daily Would this be a good niche? Or, do you think this domain is a good one? Another question is what do you think would be a good title? Just plug it into Jaaxy!!! It is not that I’m avoiding the question or to lazy to answer them… It’s just that Jaaxy is so versatile and easy to use… That is what I would do any way! So what is the Jaaxy keyword research tool? Jaaxy (jaaxy.com) is a platform developed by internet marketers to research almost anything relevant to the affiliate marketing industry. It is the most advanced and useful tool for managing all aspects of keyword, website, competition and market research. Research that in the old days would consume hours and hours now takes minutes! I have included a quick 3-minute video to help explain what Jaaxy can do for you… Watch it below! Keyword is the term given to words or phrases that people type into a search engine to find things. The first thing that Jaaxy can help us with is finding out what those terms are. Let’s say (just for a quick example) that there is a trend of people searching for widgets A… Jaaxy would let us know. Now if the exact search term that everybody was using was ‘widgets A’ if you used that as your keyword (and all else was equal), your site would pop up number one on the first page and you would get all of the traffic. Very soon every marketer would be using the exact same keyword and it would become harder and harder to rank. Cool thing – everyone does not use the exact same keyword to search for what they want in fact, there could be thousands of variants to the main idea. Jaaxy automatically brings up these variations and breaks out how many searches and how many others are using the variant. You can use this information to find very low competition keywords. For a hands on tutorial on how to find keywords with Jaaxy click here! There is a brainstorm feature within Jaaxy that will allow you to examine the hottest products, information and search trends. Using this information you could get in on the ground floor of the next viral niche. There are thousands of new ideas gaining momentum every week. Jaaxy can keep you ‘in the loop’ of trending niches. Once you have found a niche that resonates with you, the affiliate program search function will find the best affiliate programs for you to use. Learn more about how to use Jaaxy to find your niche here!!! The competition section within Jaaxy allows you to analyze your competitions websites. You can take a successful website and ‘break it apart’ to see what makes it successful. Jaaxy will give you valuable information on competitors content structure, meta tags, content quality and length, backlinks, ad placements and a ton of other information that will give you a huge advantage over your competition!!! You will be able to determine what ‘ranking factors’ are contributing to their success. Once you understand what is making a particular site successful you can create your own by improving upon it even more! Although Google is the ‘granddaddy’ there are other search engines. Bing and Yahoo will contribute traffic flow to your website as well. Jaaxy will show you the subtle differences in how the different search engines rank your content. Now you can easily optimize your content to rank on the first page of every engine. Know where you stand! The site rank feature allows you to monitor track your rankings on Google, Yahoo and Bing. Not just your website but any website at all. Now you can keep track of your competition too. Learn quickly what activities are advancing your (and your competitors) rank and what activities are hindering your advancement. It is all automatic! Easily set up what information you want to track and how often you want it reported; then you will be notified when your rankings go up or down. You can also automate reports on your competitions sites as well. Simplify all of your SEO testing! Now you can’pin’ your activities to a timeline on Jaaxy and determine which activities are leading to better rankings. For example, your use of backlinks, meta tags and ad placement. The Site Rank feature gives you a birds eye view of all your ranking and SEO activities. See exactly what you have done historically to increase rank and what has happened to decrease it. It is all there right in front of you in an easy to understand format. Domain names can demand thousands of dollars. Using the domain feature within Jaaxy you could build yourself an incredibly valuable domain portfolio. Once a domain name is purchased, no one else can use it. if you have a cache of high quality, brandable domain names you could very easily market the domains to companies that would love to have the right name. But what about just for your self? Let’s go back to our earlier example of people searching for ‘widgets A’. Can you imagine how valuable the website ‘www.widgetsA.com’ would be? If your website matched the exact search term thousands of people were looking for!!! Every search within Jaaxy will automatically produce every .com, .net and .org domains that are available. You can further search to reveal if there are other domains such as .ca, .gov, .edu and may others as well. To simplify tings even further, you can purchase the domain name right there on the Jaaxy platform. No need to leave the site to go somewhere else to register the domain. Simple answer: Just the most powerful awesome research platform available on the internet today. Every one from beginner affiliate marketer to fortune five hundred companies can get some serious use out of this thing. 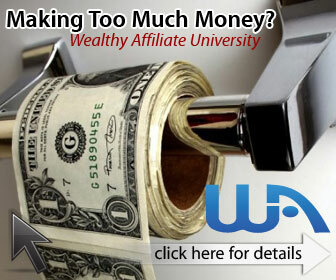 Save time and money on research and gain a competitive advantage over the competition Try it free right here right now! 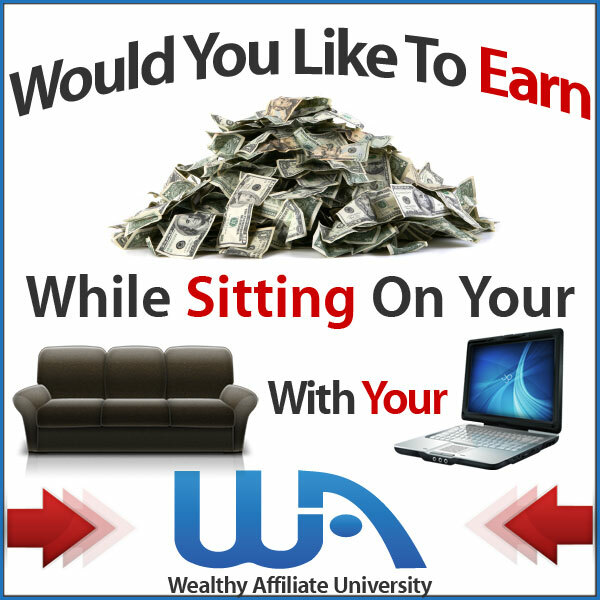 My name is Robb Murray and I believe that Affiliate Marketing can be a very lucrative career. With the right training and mentoring anybody can be successful and make a little (or a lot) of money honestly. if you would like to learn about a legitimate program where you can get everything you need to succeed on line click here. Let’s all have fun and make money! Leave me a comment below and share this post. Fear Over Money – How to Make Sure You Have Enough! Very cool! Interesting video, thanks for walking us through, Jaaxy has a lot more content than I originally thought and is really easy to use! Can I Make Money From My Hobby? © 2019 Successes On Line. All rights reserved.